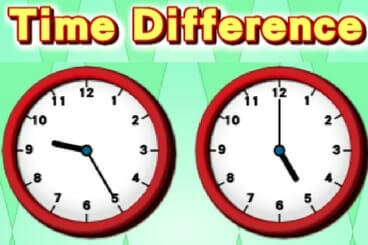 In this game you will see two clocks showing different times. Your job is to calculate the time difference between the two clocks and input your answer. It is not as easy as it sounds because the clocks are analogue clocks which indicate the time with clock hands, making it tricky to calculate the time. There are 10 questions and the questions will be harder and harder. The faster you finish the game, the higher your score. Calculate the time difference between the two clocks.